What makes “Rick And Morty” or “BoJack Horseman” so impeccably awesome? You know that the best things happen to you when you’re bored? At least that’s how it works with finding the best gems on Netflix, YouTube or Spotify. One day I was tired after work. I was literally about to scream “my brain hurts”. I looked for something vaguely ambitious to let my cerebral ganglia rest – turning my brain off and feed it with something that I didn’t have to invest much energy into. One option was to get back to reading “The Disaster Artist”, but although the book is peculiarly gracious and perfect for a non-tiring read (I’ll write about it some time as well), I have quickly lost my interest. So, Netflix it is, I thought to myself. One of the reasons I signed up for Netflix was “BoJack Horseman”. I’ve heard only splendorous opinions about this show and felt that it’s a must see for a film buff as big as Gregg Turkington (yup, I’m that film buff). “BoJack Horseman” was much more than I have expected. A phenomenal animated treat. A heart-breaking analysis of lost dreams and wasting time in life. A series that was as much painful as relatable. To put it simply, I love BoJack, because it made me laugh and cry and think about life. This is why I literally “devoured” four seasons of “Bojack” and was left with an empty hole in my heart. A hole that needed to be filled with a new cartoon. Since I needed to wait a year for the new season of “Bojack Horseman”, I started looking for an alternative. That’s how I stumbled upon “Rick And Morty”. Another sheer genius, another phenomenal animated series that moved me deeply. The way it mixed pure nonsense with crushing drama was the exact type of thing I was looking for. Smile, laugh, cry, repeat. All bathed in a gorgeous animation. Soon, “Rick And Morty” was also over. 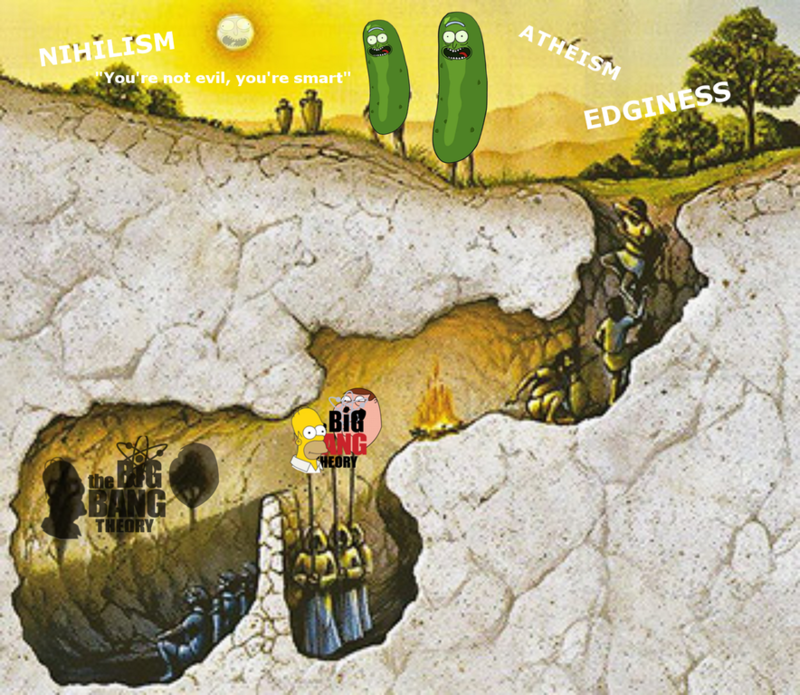 And a new, even bigger hole was created. A new weight to carry. A luggage consisting of BoJack and Rick, two broken characters that I found quite close to the heart. Next in line was “Final Space”. The first episode was a bit rough to land, but I experienced the same with “BoJack” and “Rick”. The first episodes were both somehow too strange to be liked immediately. However, three more episodes in and I was already immersed in the story. “Final Space” made me a promise with its prologue. The beginning was stupendous – an astronaut, hanging in the vast, never-ending space, left alone to die. What a way to get the viewer hooked. Soon we hear an AI counting down to the inevitable doom. This short sequence sent chills down my spine and made me think – this might actually be something good. Let’s give it a try. At this point, I might throw (here and there) some spoilers concerning all of the series mentioned so far. I have finished the first season of “Final Space” a few weeks ago. Me laying in my bed, headphones on. I couldn’t be too loud, so my reaction to the finale was a silent gasp at how good it was. How freakin’ deep it was. I woke up the next day and felt that the whole season left me in an inflaming state of “I need more“. Did Gary really die? Was the final space opened or not? 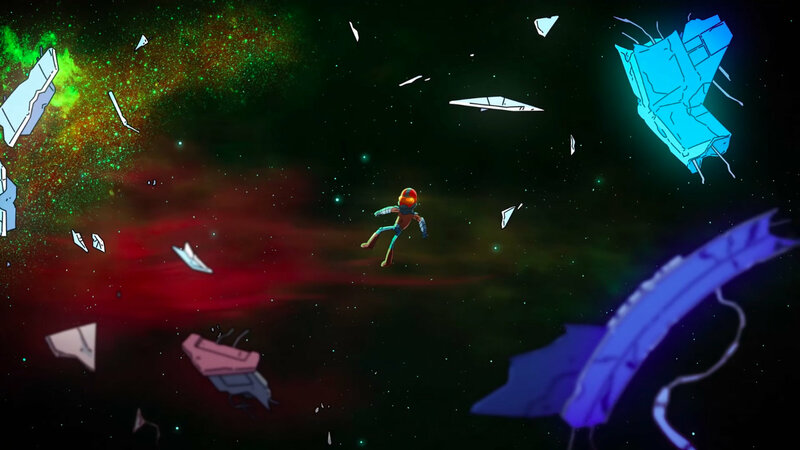 “Final Space” is a fantastic series, which gave grounds to just another prominent animation to flourish. It’s still hard for me to imagine that the creator of the show has started this whole concept as a cheesy YouTube animation. It made me realize something very important. We live in the golden times of animated television. I’m not over-reacting here. Three phenomenal series have given so much fodder for my thoughts that my brain cogs are working almost constantly. Each one of them has shown me a different shade of fun and adventure, but also fear and loneliness. I have begun to wonder – what makes them so powerful? What causes these short episodes to fill my heart with such a vast range of emotions? 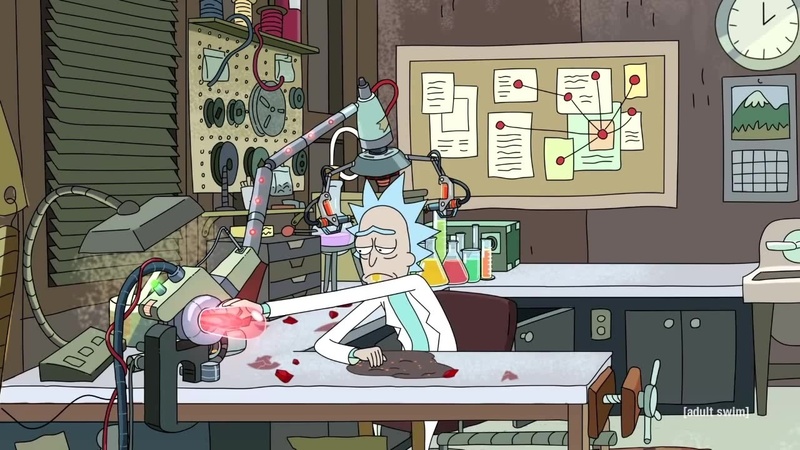 In a split of second, I can feel entertained by Morty’s whining and Rick’s detachment from the world and then a heart-wrenching sentence pierces through my chest and leaves it wide open. One theory I had was that we prejudicially treat them less serious. After all, BoJack (a half-man and half-horse) sleeps with a cat named Princess Carolyn, Garry from “Final Space” befriends a flying green blob, while Rick and Morty travel between dimensions killing aliens. Yeah. As a consequence, we might automatically perceive these “sad, heart-breaking moments” as much more unexpected and, therefore, more powerful. They create balance and tie our emotions to the characters – goofy on the surface, broken and human on the inside. Another thing is that feature films and tv series are extensively using violence, death and drama in order to move us. But the outcome is that the audiences are becoming increasingly insentient. If you watch movies regularly, the amount of on-screen death reaches a level where it’s hard to muster up the appropriate reaction. More and more often I’m left wondering whether a particular scene was supposed to be a Tarantinesque wink? Or was it tragic and I simply misread it? Animated series and films poke at a different area of our sensitiveness. Each one of the creations I have mentioned is psychologically devastating and incredibly deep. The fact that all of the characters live in some imaginary worlds, makes them more abstract and easier to process. But, at the same, time they are paradoxically more human. 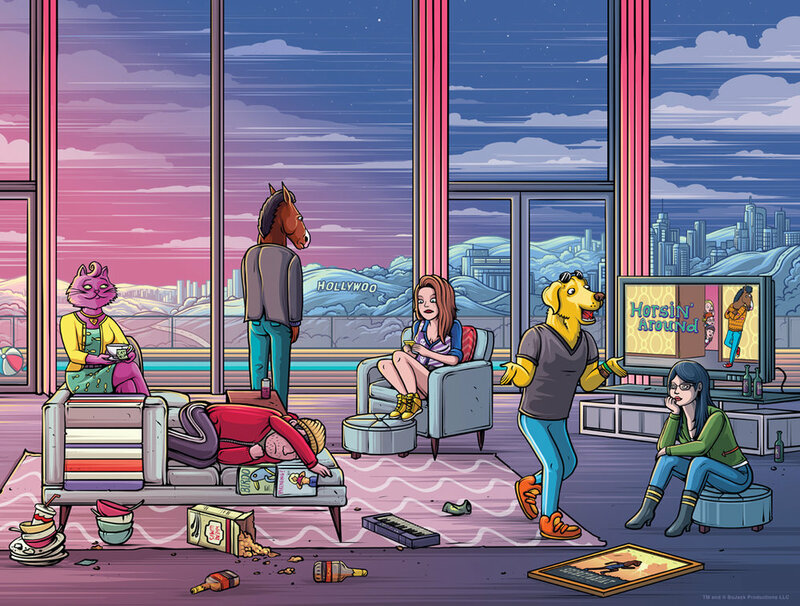 Bojack and Mr. Peanutbutter showcase a wider palette of emotions than most of the people I know. They are often confronted with very heavy problems too. 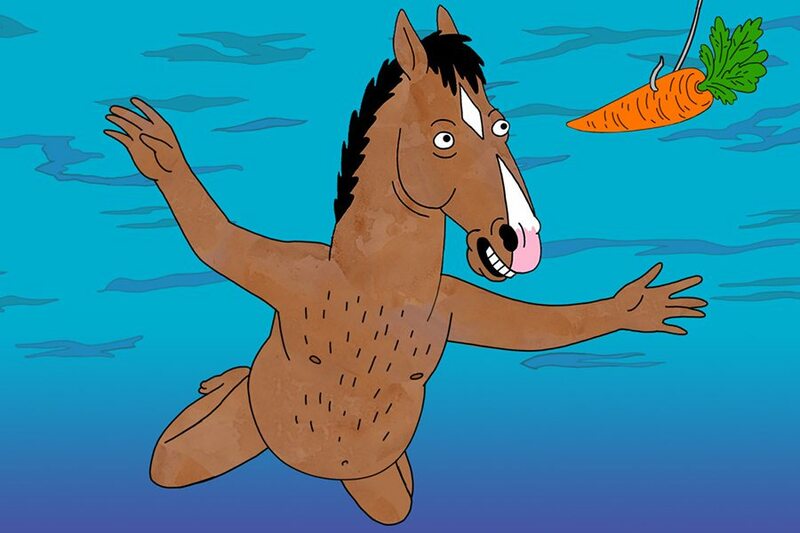 BoJack is – under the surface of a horse – a depressed, middle-aged guy, whose life has slipped through his hoofs. Rick is an alcoholic (just like Horseman), who fills the time with these ridiculous adventures. Why does he do that? To push away the self-destructive awareness of him slowly fading away. And Garry from “Final Space” faces the harrowing truth that the universe couldn’t care less about his existence. The more we would analyze, the more saddening these stories and characters appear. Fans of “Rick And Morty” claim that the series is far superior to “The Simpsons” and “Family Guy”. Found via Reddit. Do these cartoons push our brains towards an existential crisis? At some point they might. I remember when I watched the 11th episode of BoJack Horseman’s 3rd season. Sarah Lynn and BoJack, last time together. By the end of the episode, I couldn’t believe that this series turned so dark, so self-aware of its destructive influence on the viewer. I was flabbergasted and needed a break. No wonder Will Arnett (who voices BoJack) jokes about Raphael Bob-Waksberg (the creator of the show) paying for the mental treatment after “BoJack Horseman” ends. However, there is a bright side to it. I feel that these shows are very much like a catharsis. 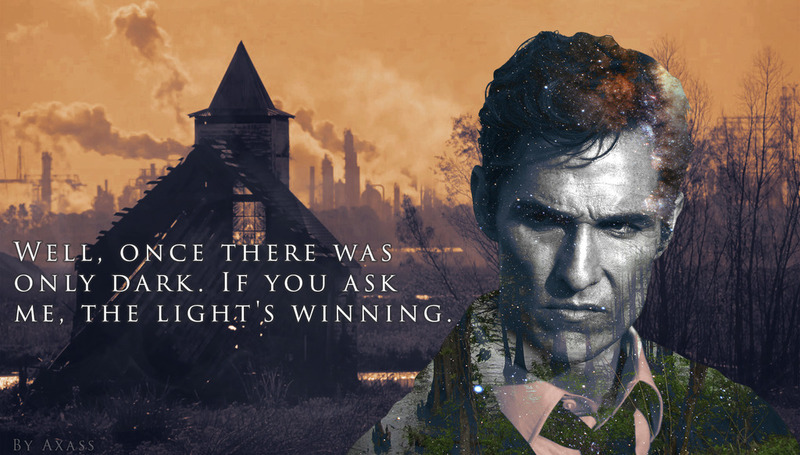 They throw me into some dark places, but as Rustin Cohle in True Detective said, ask me, the light’s winning. I can see the light for every main character in “Bojack”, “Rick and Morty” and “Final Space”. Finally, they represent life better than majority of award-winning dramas. The craziness of it all, the constantly downward-upward sloping line of it. By using imaginary monsters, animals and aliens, they all unclothe the reality. I know that there is a bright future ahead of us. “BoJack Horseman”, “Rick And Morty”, but also shows I haven’t seen – like “Futurama” or “Archer” – they have all opened gates that were reserved for die-hard anime fans only. I am thrilled to see what’s coming next. One thing I know for sure is that no matter what the future brings – I am glad and thankful for this golden era already. Don’t forget to follow my FB page. Just click here. 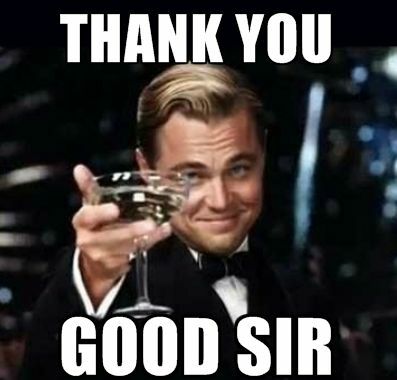 Thanks for liking an reading!